Skillet has a handful of tour dates coming up in March with hard rocker Breaking Benjamin, and since Skillet drummer Jen Ledger has been busy with her solo project, a different drummer will fill in for the run. 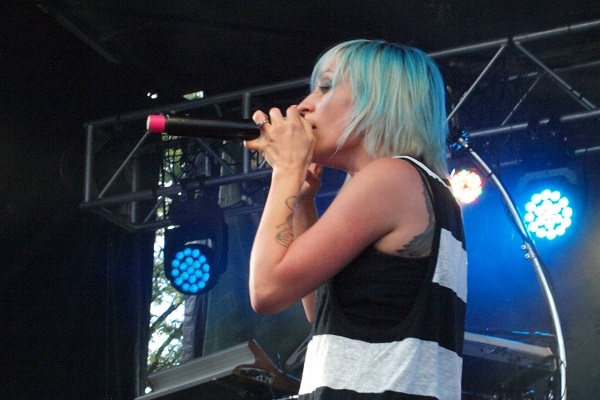 Stepping in for Ledger will be a name familiar to fans of Christian rock: former Flyleaf vocalist Lacey Sturm. She will fill in for Ledger on five dates during the tour with Breaking Benjamin. The Skillet crew also has some dates coming up on the Winter Jam Tour Spectacular, an annual Christian rock tour. Strum won’t fill in on those dates, as Ledger will be performing not only with Skillet at Winter Jam but also with her solo band. During the dates that Sturm does fill in for Ledger on drums, Sturm will also sing Ledger’s parts on tour. View Skillet’s tour dates with Breaking Benjamin below. For their full upcoming roster, go here.